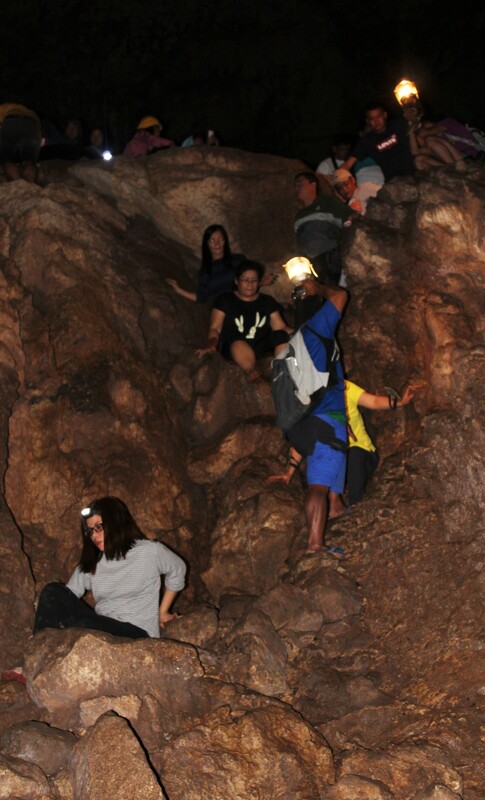 Day three was our last day at Sagada, so we decided to save the best activity for last: the cave connection. 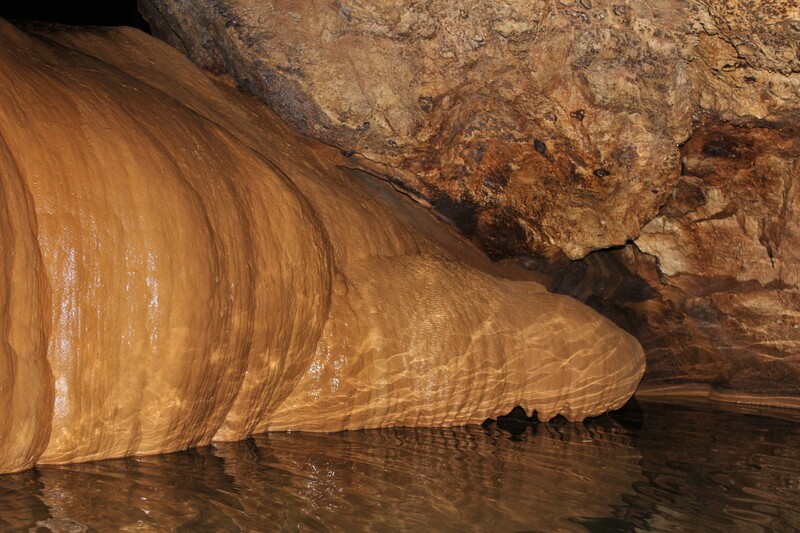 What better way to end our amazing journey than exploring the nooks and crannies of Sagada’s famous caves, right? At around 7am, we met up again (for the last time) with our ever-so-trusty tour guide, Kurt. 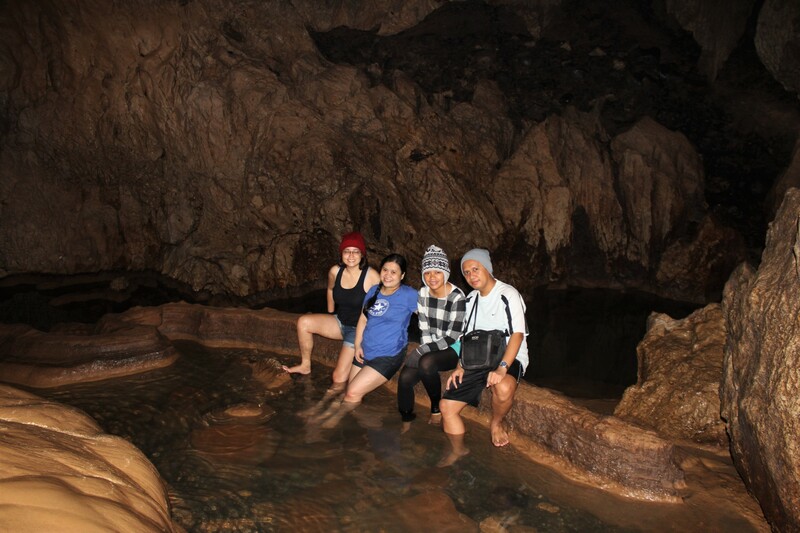 He told us that, because of time conflicts, we won’t be able to do the cave connection anymore (which originally consists of entering Lumiang Burial Cave, then passing and coming out of Sumaguing Cave), so we just opted to explore the latter. 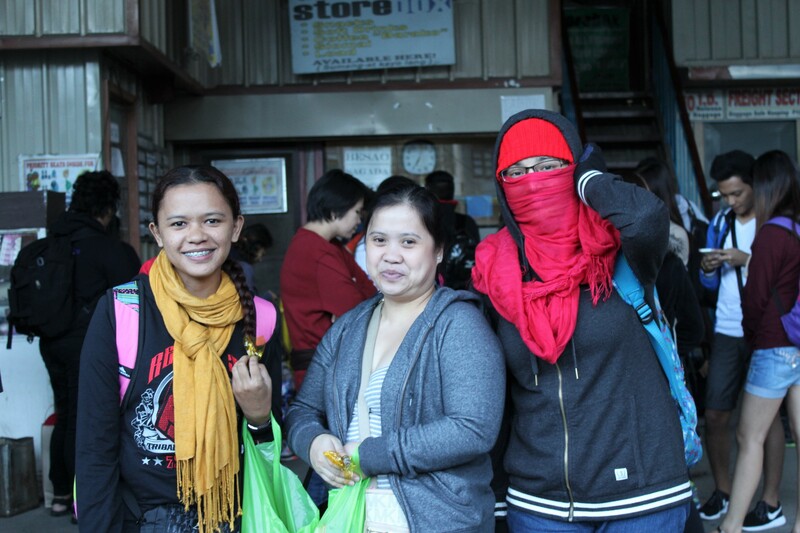 When we got to the site, we were told to get rid of any excess clothing (scarves, jackets, etc.) 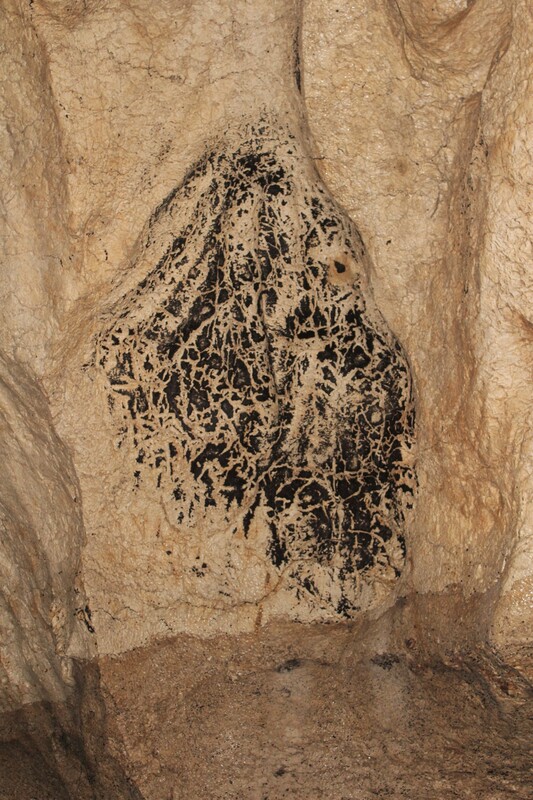 so we won’t have any problems when going down the cave. After that, Kurt quickly set up his gas lamp, we presented our environmental fee receipt at the entrance, and we started our descent. I’ve been inside the cave before and I already know what’s in there, but I was still shaking with fear and excitement as we continued to descend into the cave. 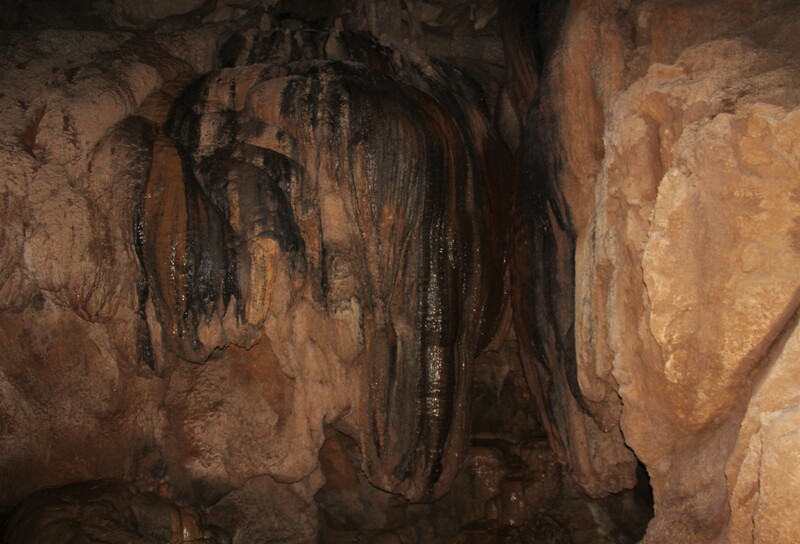 When I first went to Sagada a few years back, Sumaguing Cave was my favorite destination, and for my second time, it’s still my number one. 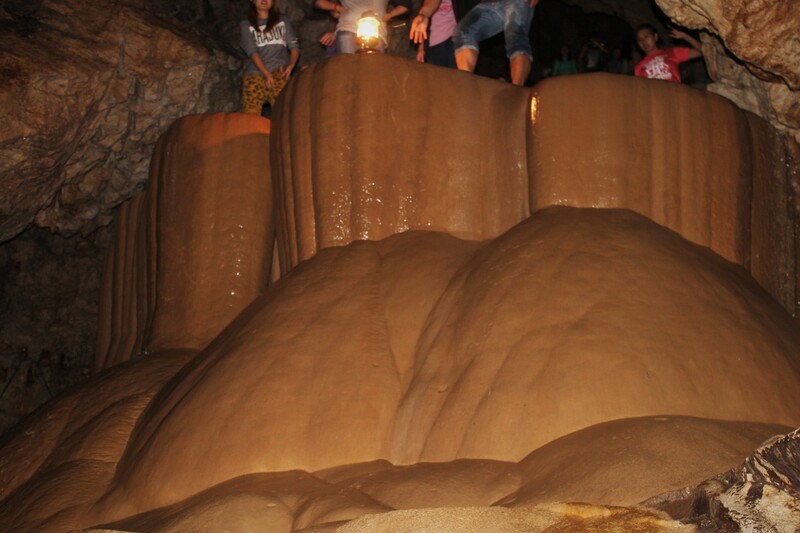 A few minutes, a handful of mini heart attacks, a couple of rocks hugged and held on for dear life, and one wet and muddy body later, we finally reached the first rock formation of Sumaguing Cave: the elephant. 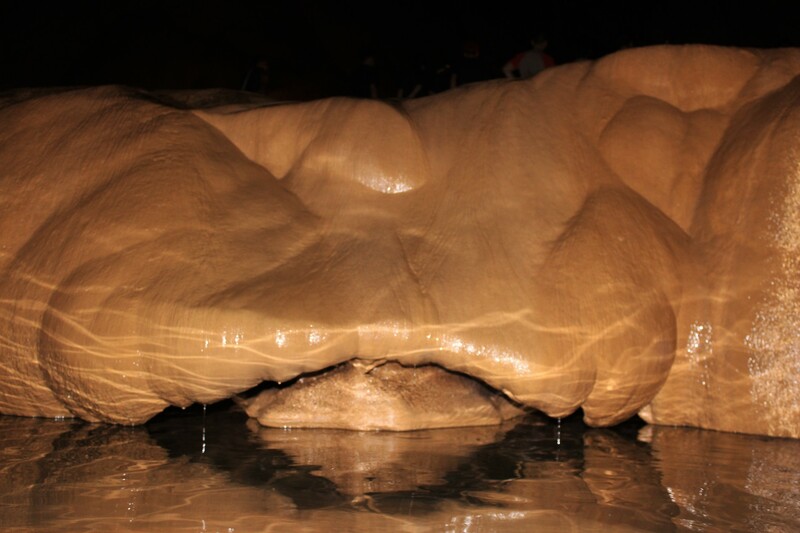 Sumaguing Cave is very famous for its stunning and natural rock formations, with some closely resembling the human male and female genitalia. 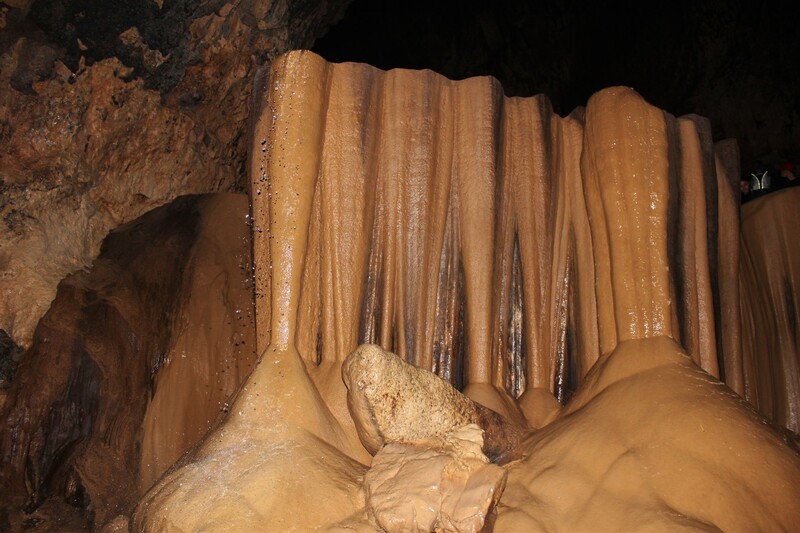 Locals have named the formations based on what they look like, even adding a royal touch to some of them. Piece of advice: listen closely to the tour guides, because they have lots of stories and jokes hidden in their sleeves. 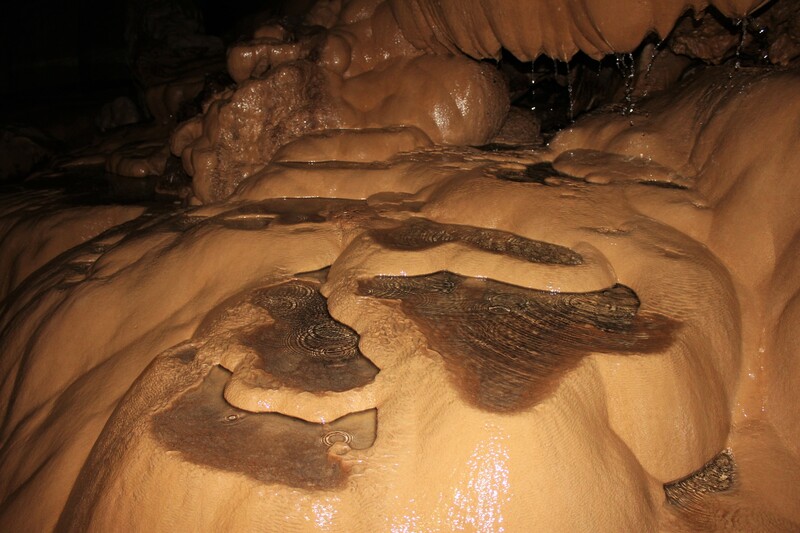 Aside from these cool rock formations, Sumaguing Cave also houses equally-amazing coal and iron formations, which are all natural and accidental. 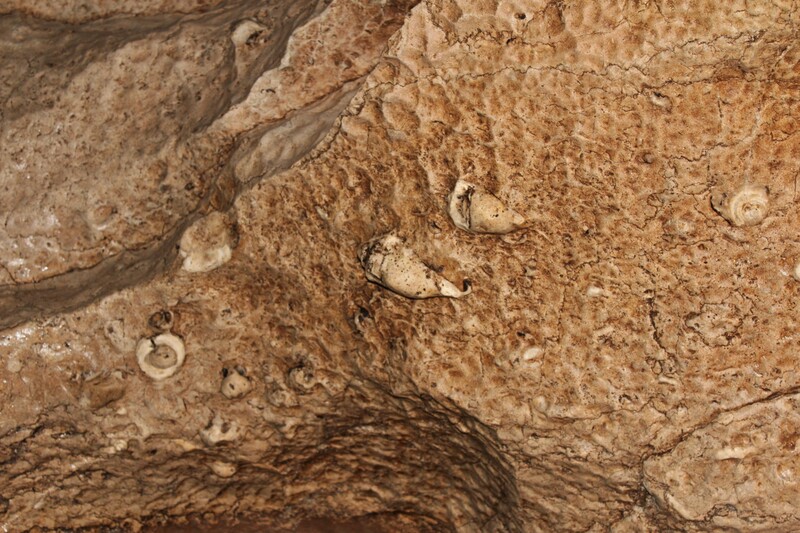 We were also amazed to see fossils of fishes and shells embedded on the walls and ceiling of the cave, proving that it was, in fact, submerged in water many years ago. 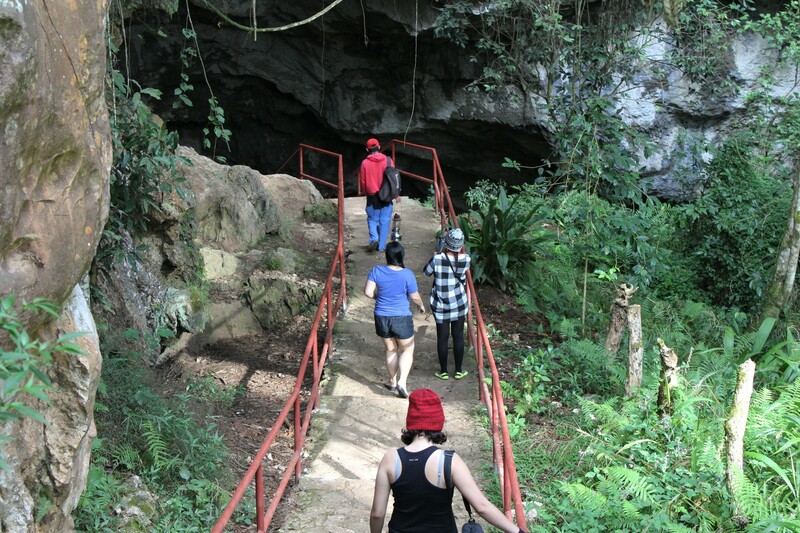 After photo-ops and sight-seeing, we decided it was time to bid farewell to the majestic Sumaguing Cave and go back up to the main land. 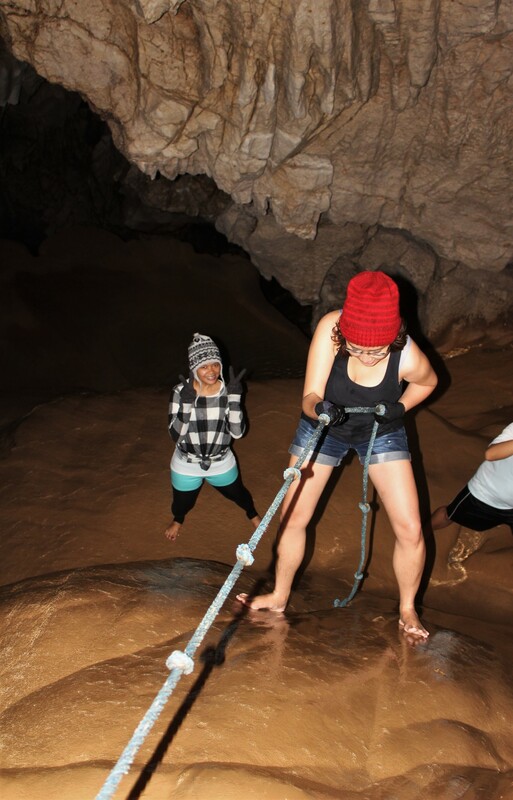 We left the cave by rappelling and climbing on rocks and rubber tires. After almost four hours inside the cave, we finally saw the sun shine again. We said our thanks to our dear tour guide and promised to come back soon. For the last time, we decided to topload a jeepney on the way back to the town proper. 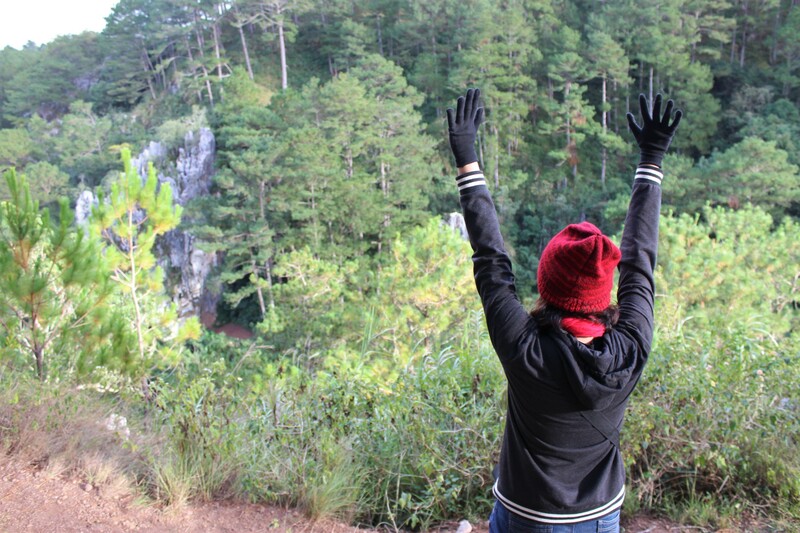 The feeling of sitting on top of a moving vehicle--- with the beautiful landscape of Sagada--- will never be new to me. Even if I’ve done it three times in three days, the feeling’s still the same. After washing up, packing up, and saying goodbye to the very kind owners of Kenlopsik Transient House, we did what most travelers do: buy souvenirs. 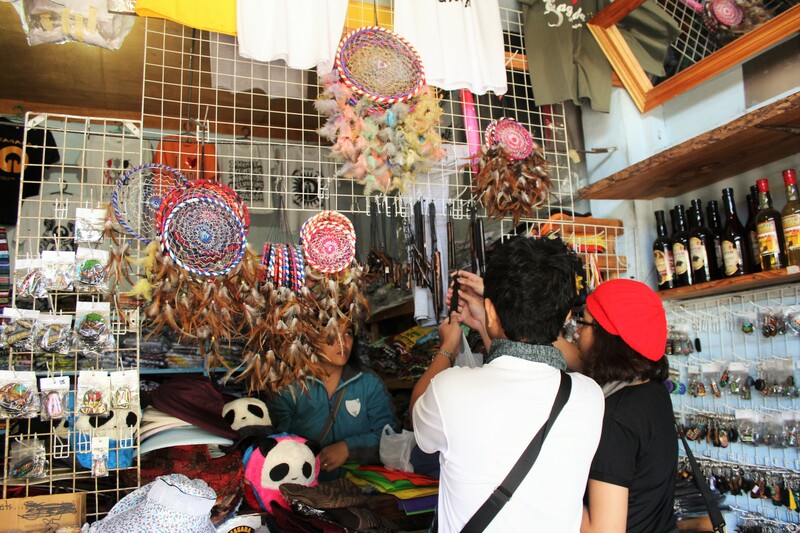 You don’t have to worry about souvenir knick-knacks and native products when in Sagada--- they are literally everywhere! After souvenir-shopping, we decided to eat out one last time at Salt and Pepper. 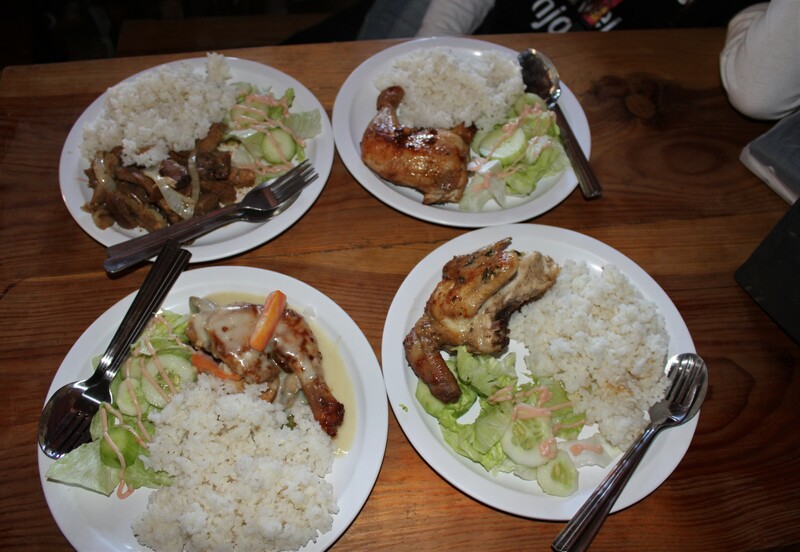 This place is not in every list of “where-to-eat-in-Sagada” for nothing--- their rosemary chicken and mushroom chicken meals are highly recommended! For our departure, we chose CODA Lines’ direct trip so we won’t have to make two trips to get home. At first, we didn’t know where to buy the tickets, but thankfully, the guys at the information center were very helpful and showed us where their ticket station was. The fare is P720/person, with a very long journey of 12 hours, with three stopovers. As of September 2016, direct trips from Sagada to Quezon City are 2:30pm and 3:30pm only, while trips from QC to Sagada are 8pm and 9pm. 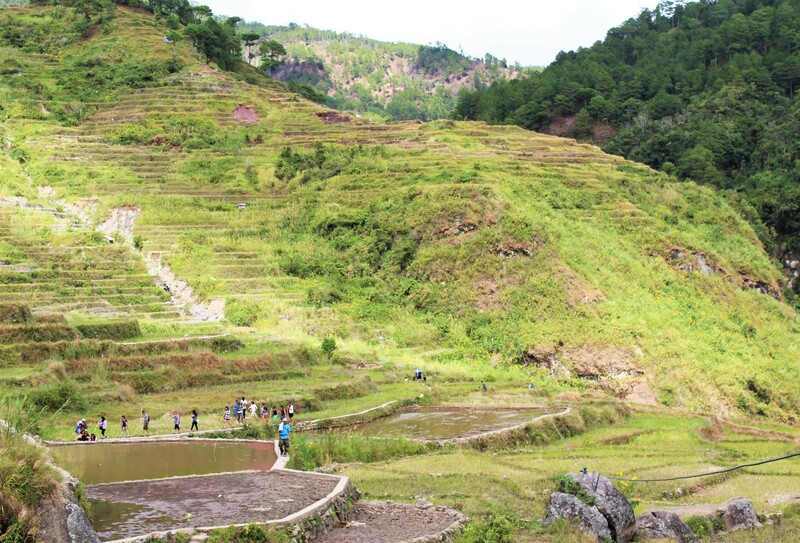 They also have scheduled trips to Banaue and from Bondoc, as well as Baguio trips. For more information, check out codalines.com and facebook.com/codalinescorporation. 1315H - Pack up, etc. 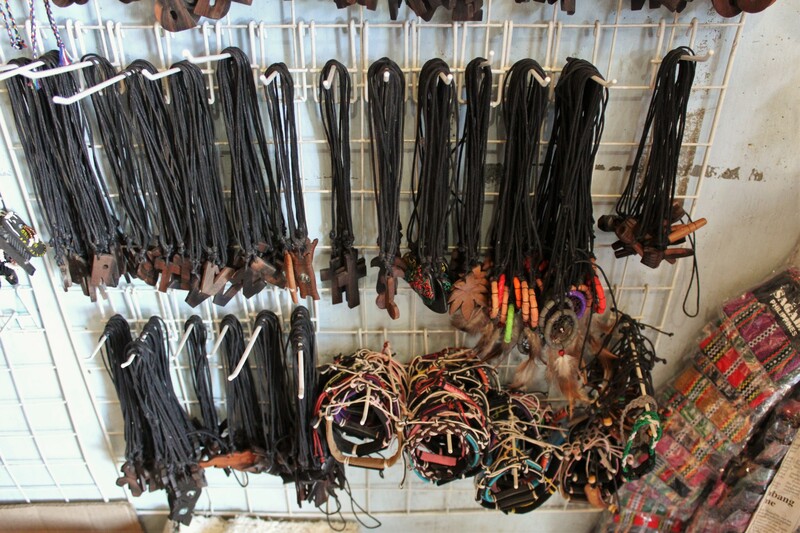 1430H - Souvenir shopping, etc. 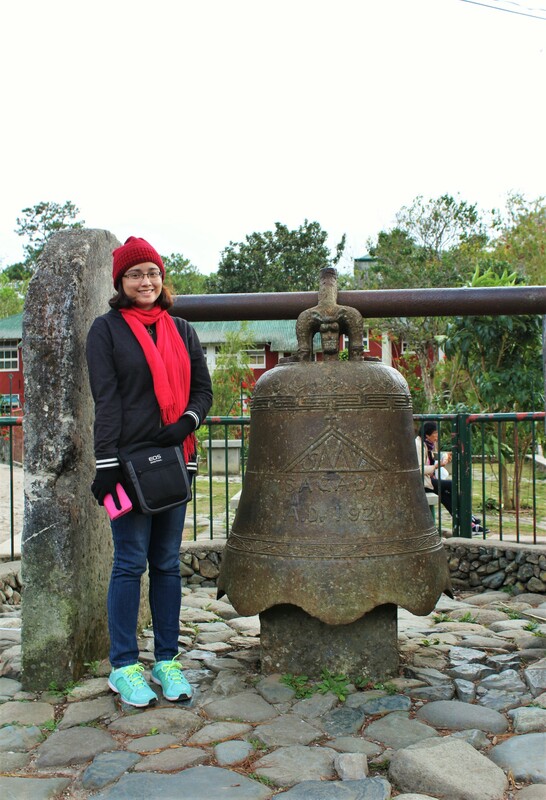 Our second day at Sagada was probably the most exhausting--- yet most fun and fulfilling--- part of the trip, mainly because we visited two places which required at least an hour of trekking, and also because we haven’t had enough rest to partake in such “extreme” activities. But, believe me, it was all worth it. 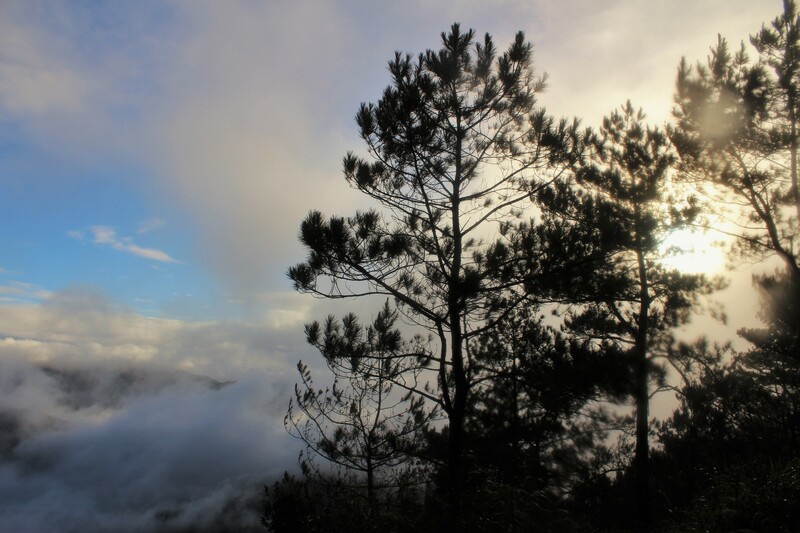 At around 4:30am, we met up again with our trusty guide for another journey to the mountains--- this time, to witness the majestic sunrise in one of Sagada’s most famous place, Kiltepan Viewpoint. 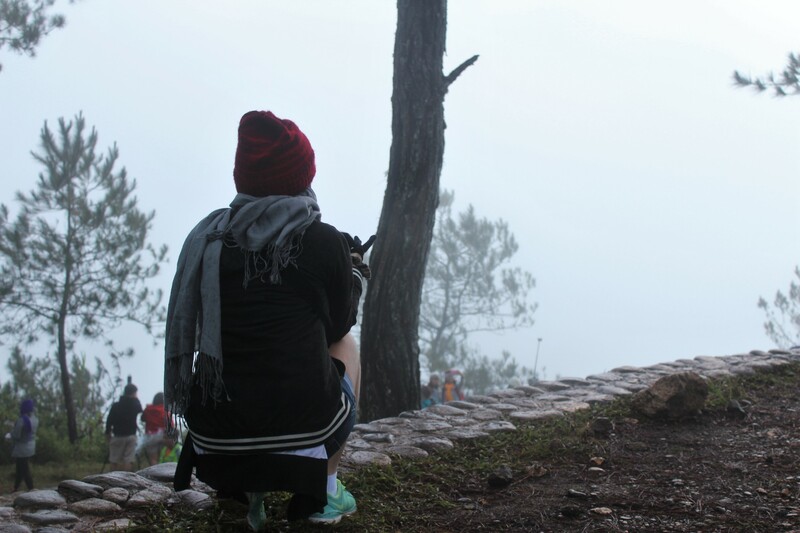 If you have seen “That Thing Called Tadhana,” starring Angelica Panganiban and JM de Guzman, then you probably remember the scene where Angelica’s character screams/cries her lungs/eyes out on top of a beautiful mountain--- that, my friends, is the famed Kiltepan Viewpoint. Going up that mountain is no easy feat. 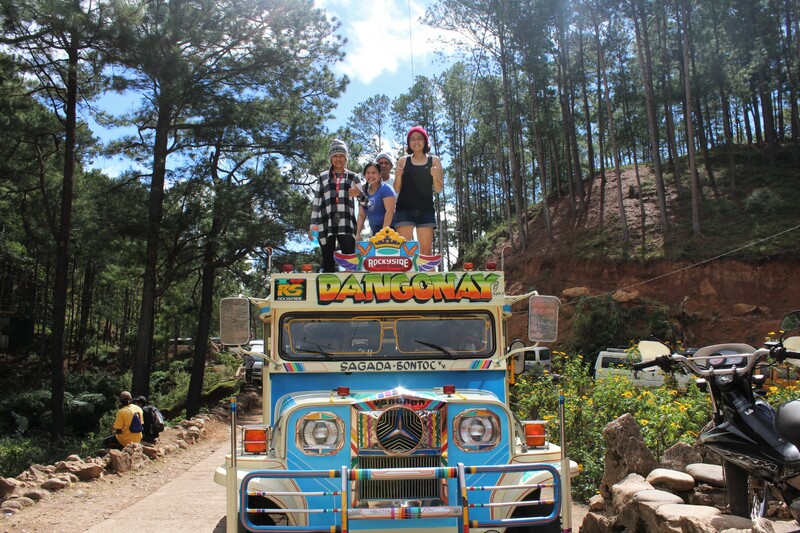 In fact, we were originally advised to rent a jeepney to take us up there. But, due to budget cuts, we had to walk and climb instead. 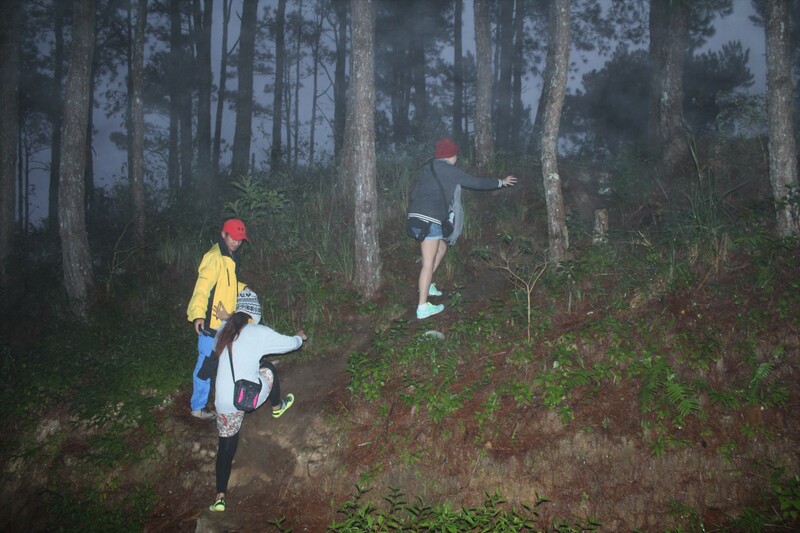 Honestly, we think it’s a great idea that we decided to walk--- the thrill of going up the slanted roads and feeling the cold breeze welcoming us is much, much better than sitting inside a jeepney, just waiting for it to stop at the destination. After over an hour of walking and sight-seeing, we finally reached Kiltepan, and, boy oh boy, was it jam-packed! 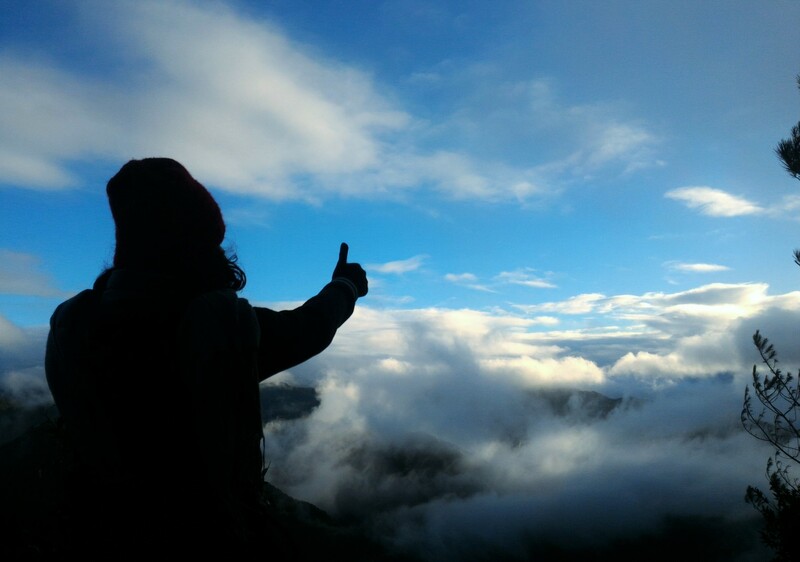 Lots of people literally flocked the good spot for picture-taking, and everywhere we looked, we saw tourists who were dying to get a glimpse of what Kiltepan has to offer, the famous sea of clouds and beautiful sunrise. Just like them, we were anxious to personally experience the magic of this mountain, and, just like them, we were getting impatient because, half an hour passed and, still, no sun showed up. We thought that the weather’s not that good for a sunrise, but few minutes later, we saw the sky slowly clearing up and the sea of clouds started to form. The crowd went wild as the clouds turned into soft cottons and revealed the rice terraces with lush greens just below the mountain. 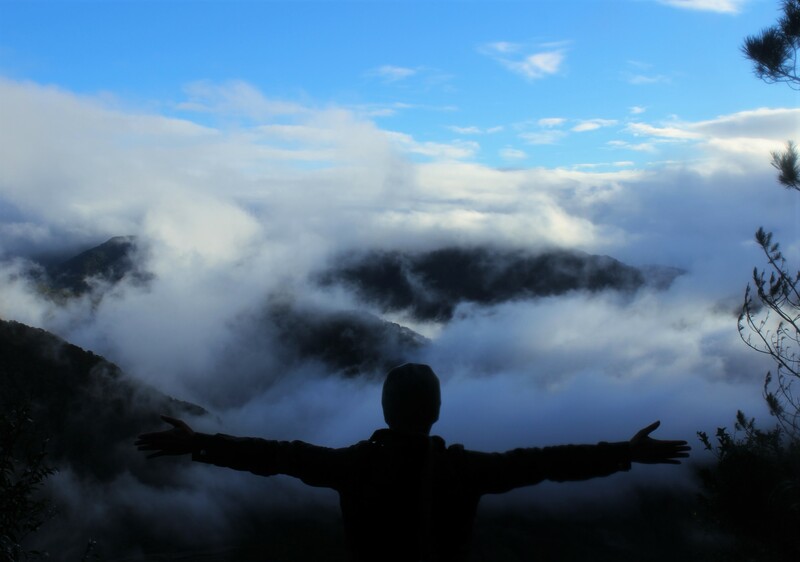 It was definitely a picture-perfect moment, like we were inside a movie theater and, suddenly, the curtain of clouds opened up and showed us just how beautiful and perfect the world can be. When it was finally time to go, we decided to topload on one of the jeepneys parked within the area (good thing the driver allowed us). It was my first time to sit on top of a moving jeepney, and the experience was indescribable. 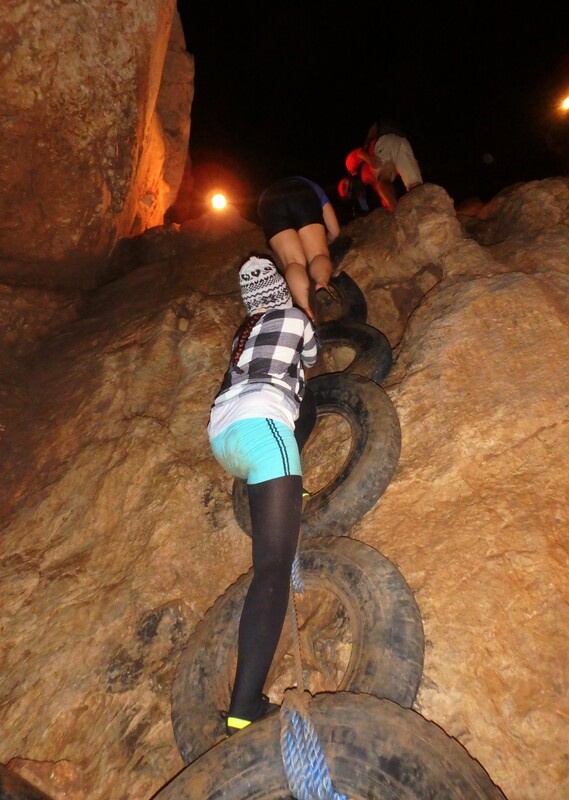 At first, I was scared that I might slip off and fall, but after a few seconds, I began to relax and enjoy the whole ride. 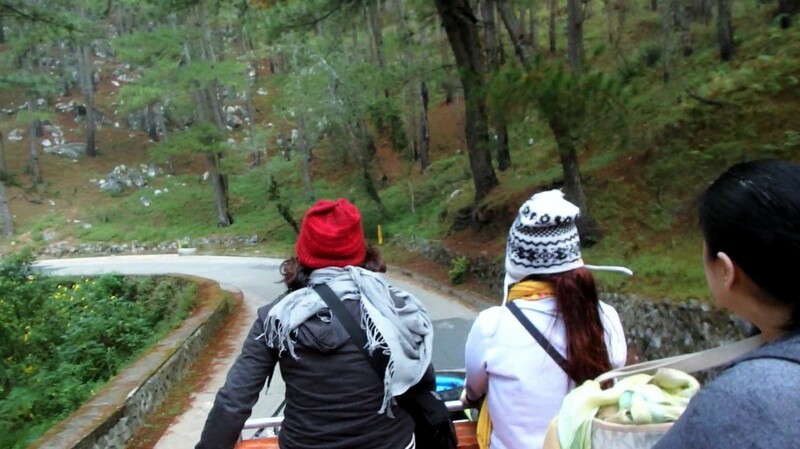 Obviously, toploading is much better and more fun than normally riding a jeepney! 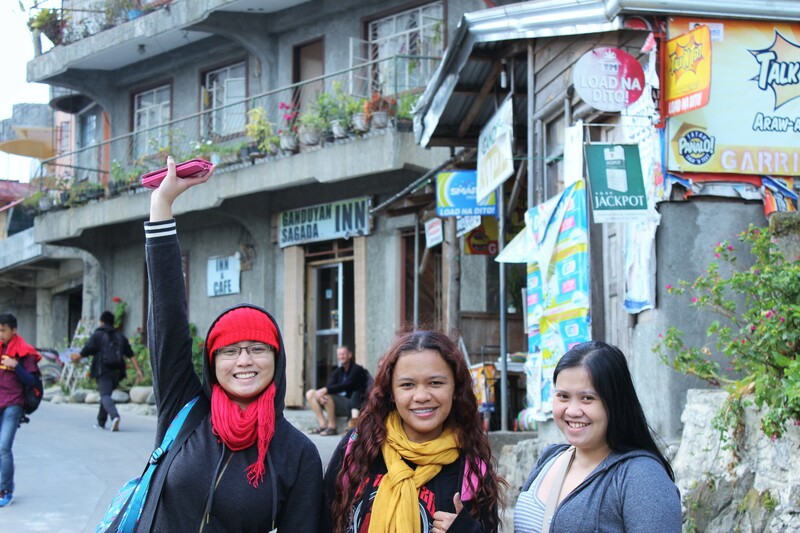 When we got back to the town proper, we decided to fill our tummies with a nice breakfast at Sagada Taste. 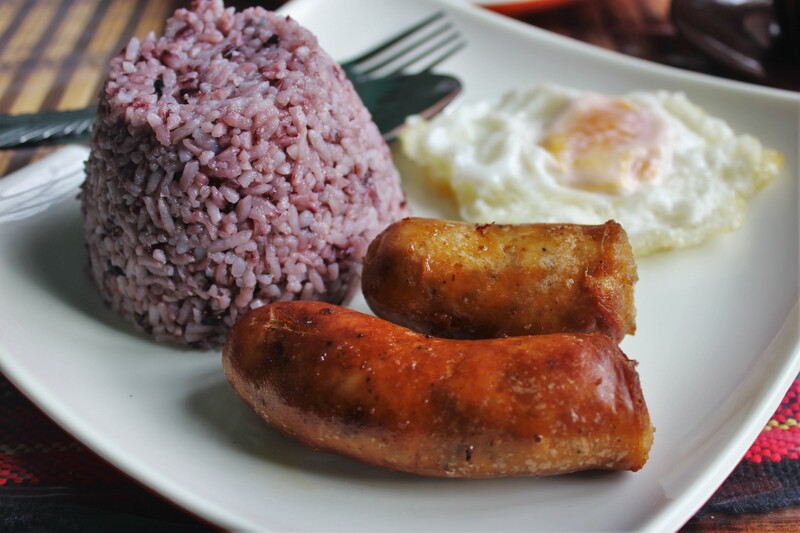 I highly recommend their Spanish Sausage--- for less than P100, it was super filling and surprisingly delicious! After resting for a solid hour, we prepared ourselves for our next adventure: the Big Falls, commonly known as Bomod-ok Falls. Our resident guide told us that he won’t be able to join us there, since the area belongs to a different association and has tour guides of their own. 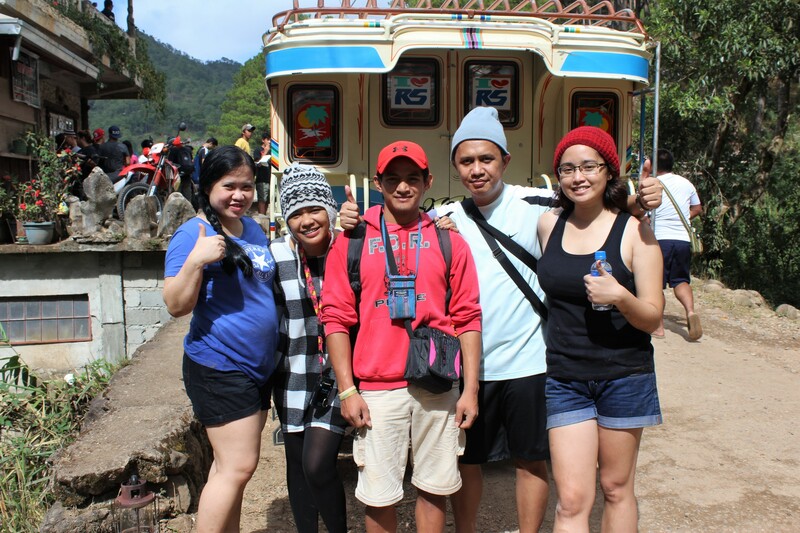 We decided to topload a jeepney again, since we enjoyed it so much earlier that day. 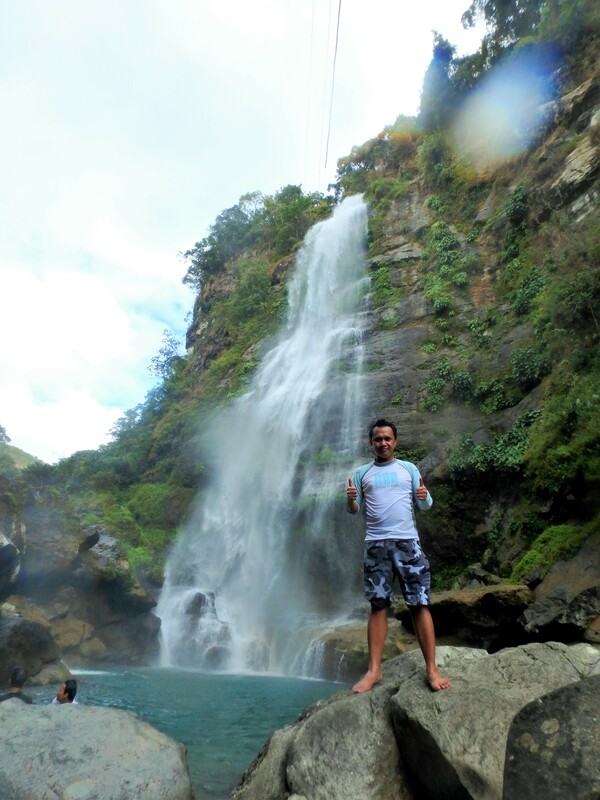 We boarded an Aguid-bound jeepney, and commuting to Bomod-ok Falls costs only P20. When we got to Aguid, we immediately saw the registration area, where we paid P500 for the tour and guide. After paying and presenting our environmental fee receipt (a.k.a. entrance pass), we were introduced to our guide, Walter, who gave us trekking sticks to help us through the mountains. It took us over an hour to get to the falls--- and it wasn’t an easy descent. 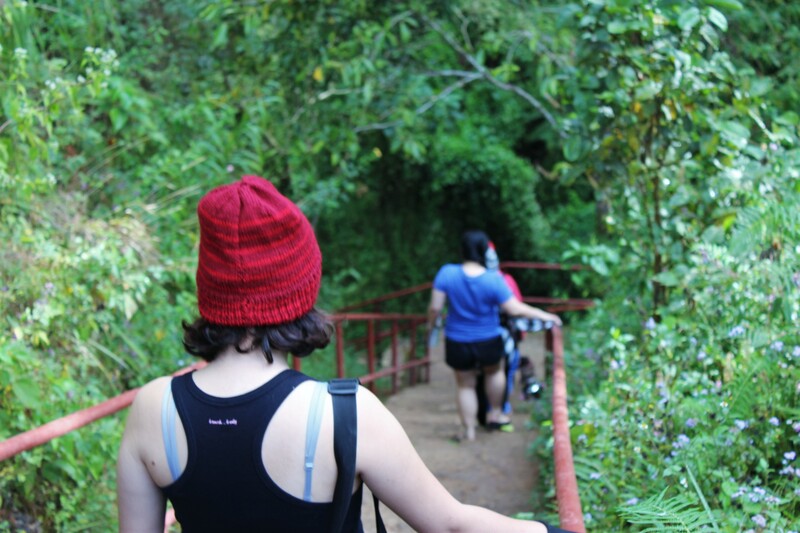 It was scorching hot (as it was almost noon), and as we walked down, the temperature rose (probably because we went farther from the mountain’s peak), prompting us to remove our jackets and scarves. The fact that we can see the falls from afar didn’t help at all--- it just made our trek more difficult because we got really excited to go there! 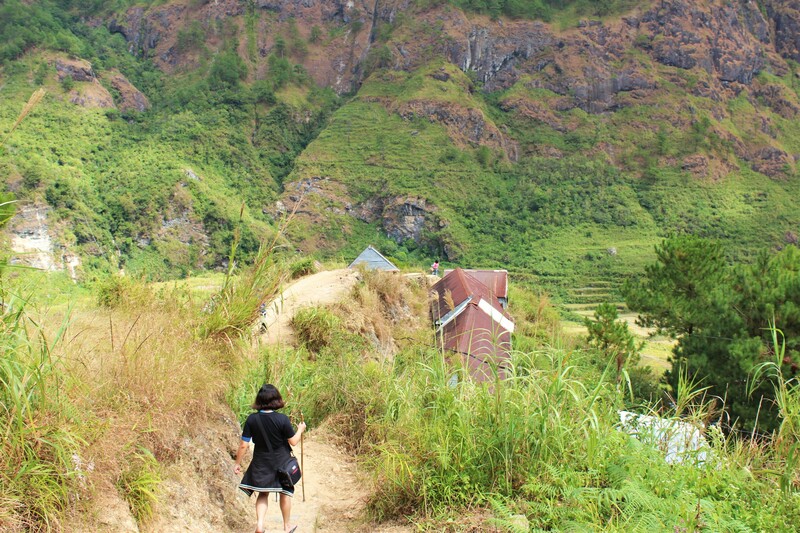 Don’t be discouraged by the hardships we faced, though, because we had an awesome way to distract ourselves from the exhaustion of trekking: by basking in the glory of Aguid’s fantastic view of the mountains and rice terraces. It was such a sight to behold that we couldn’t stop taking pictures along the way! After crossing plains, bridges, rocks, terraces, and mountains (and paying a separate fee of P10/person), we finally reached our destination. Bomod-ok Falls was definitely something--- icy water gushing and falling from a tall mountain, flowing freely from rocks to rocks, onto our shivering skins. Imagine millions of ice touching your skin--- that’s how cold the water is! 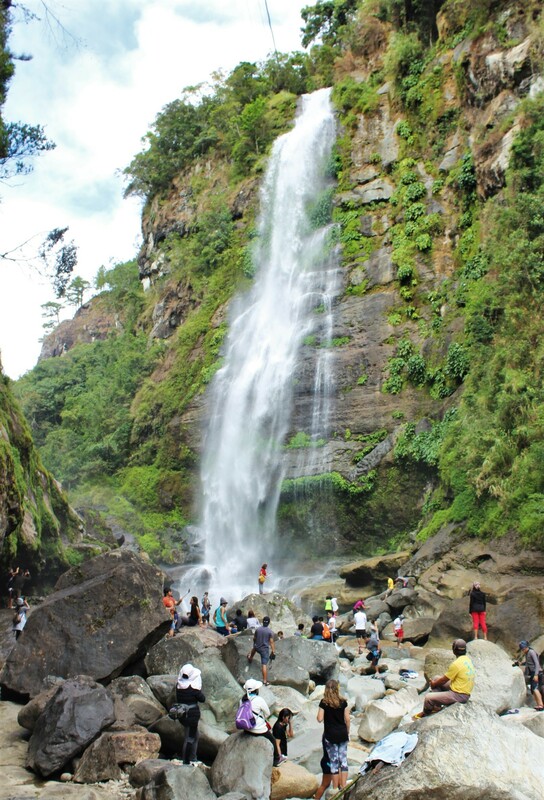 When we got there, the place was packed with people dipping into the freezing water of the falls. 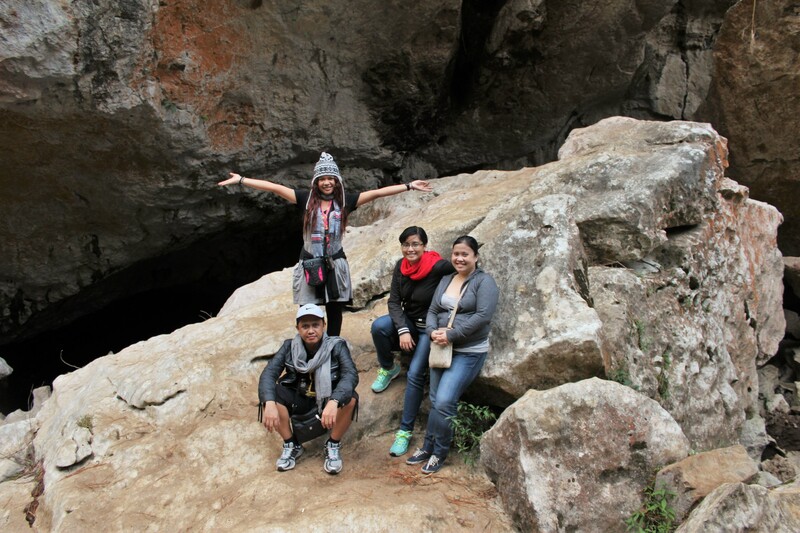 Just like in Kiltepan Viewpoint, there was almost no space for us to enjoy the spectacular gem of Sagada. 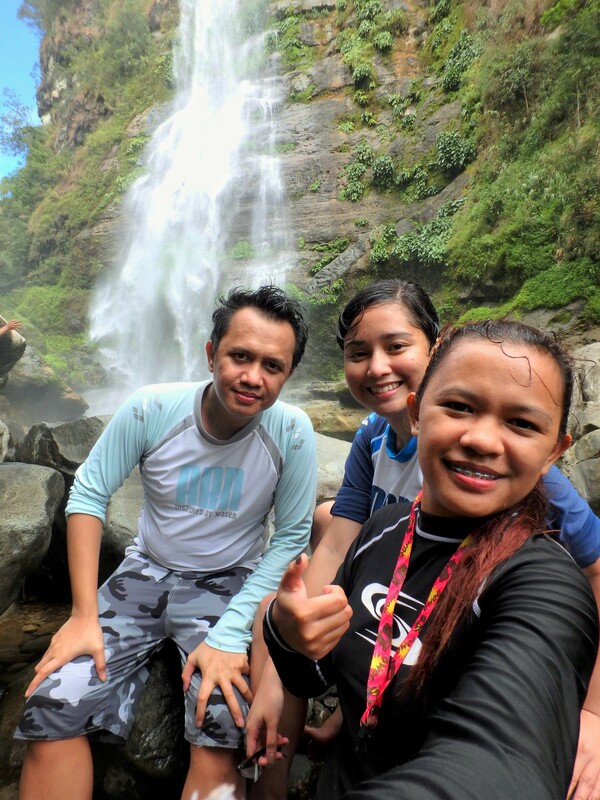 But that didn’t stop us from removing our clothes (we wore swimming attires, of course) and braving the icy-cold water of Bomod-ok Falls. A few minutes into the water and you wouldn’t mind the temperature at all, trust me! We didn’t stay long, though, because we still have another place to go (or so we thought). After drying ourselves up and changing clothes, we started our ascent--- and, honestly, going up was much, much harder than going down. The whole trail consists of man-made cement stairs, which were tougher to walk on because of the minimal space between each step. It took us over an hour also, but for us, it felt as if we’ve been walking upstairs for a whole day. 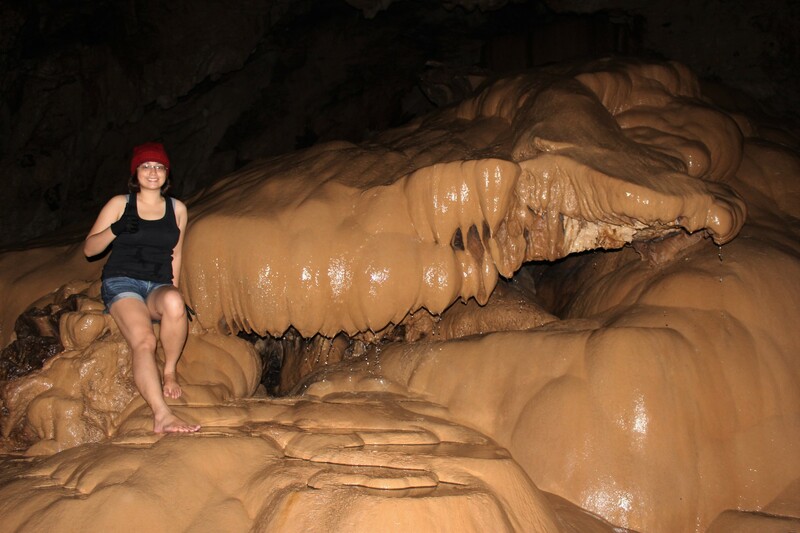 Due to major leg pains, we weren’t able to go to our next destination-- Lumiang and Sumaguing caves-- for the cave connection. We had to postpone the activity till the next day because, as time went by, our legs and feet ached even more and begged for mercy, so we just decided to skip it and go to our transient house instead. 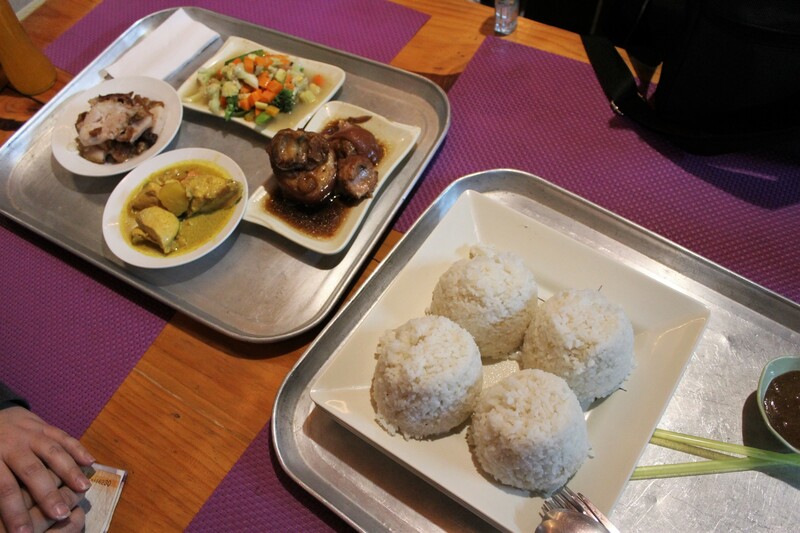 For dinner, we decided to eat at Sanivet Erl Mami Haus and Café. 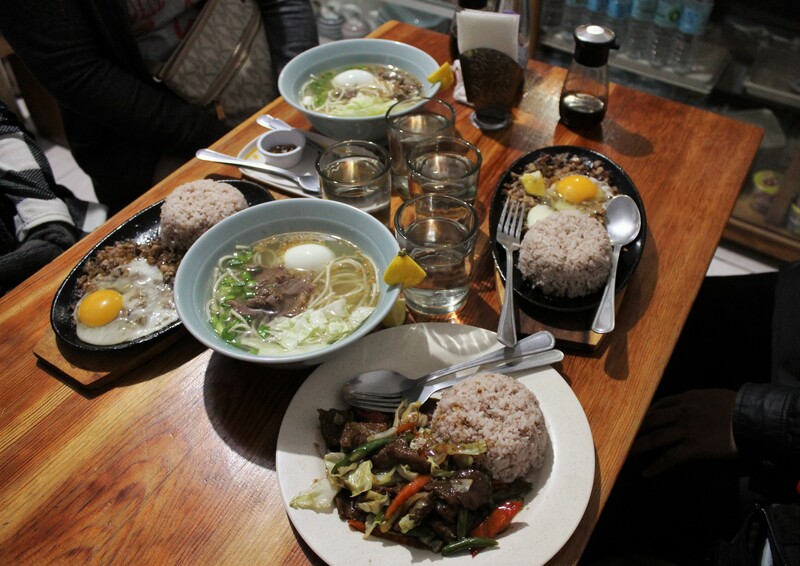 For hot and delicious mami, as well as sizzling sisig and other food choices, this is a good place to be. 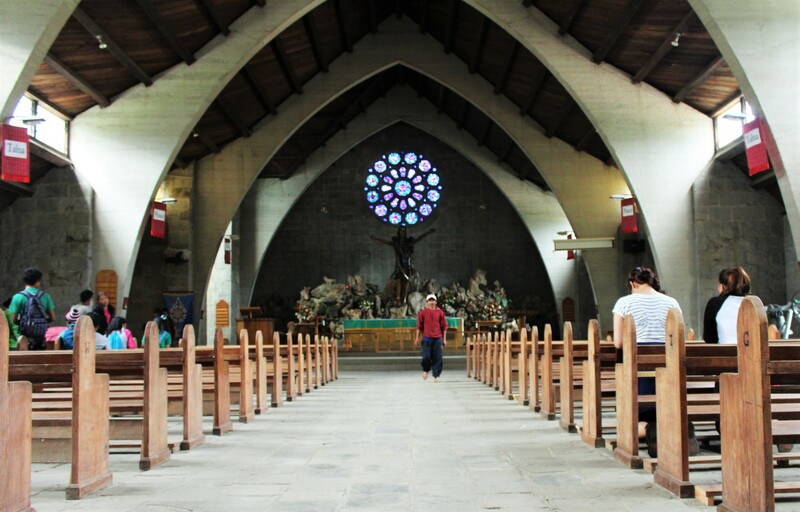 Of all the municipalities in Mountain Province, Sagada is, without a doubt, the most visited place by local and foreign tourists. 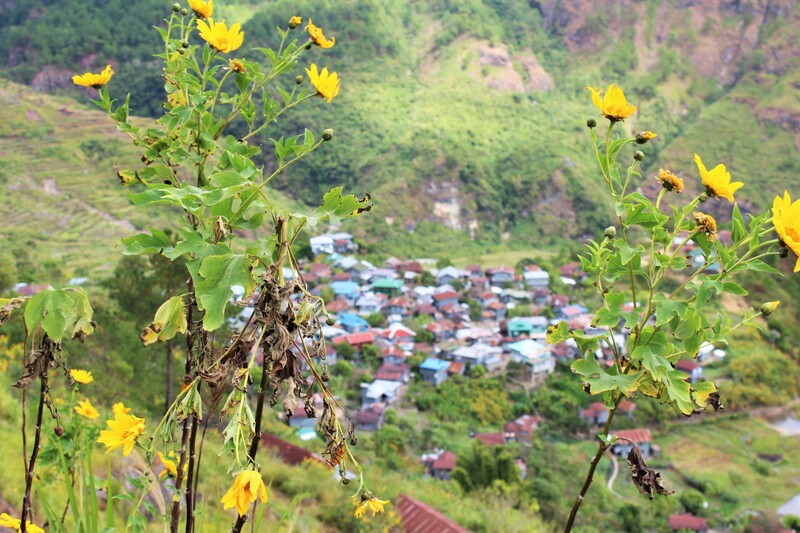 It’s a staple in every aspiring and professional traveler’s list of “places to visit,” and its beautiful landscapes were already featured in various films, most recently in Antoinette Jadaone’s “That Thing Called Tadhana”(2014). 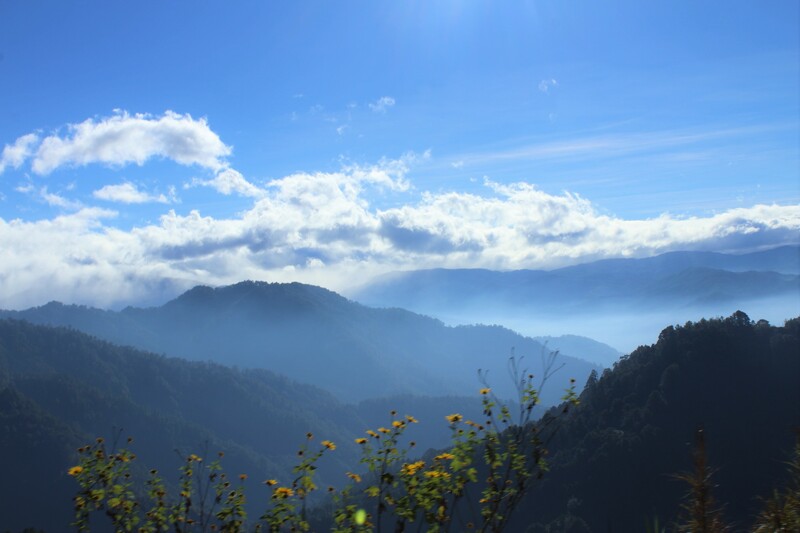 Sagada is also one of my favorite places in the Philippines--- no deep thinking required. When I first stepped on its quiet, unharmed land five years ago, I was instantly smitten by its natural and untouched beauty. 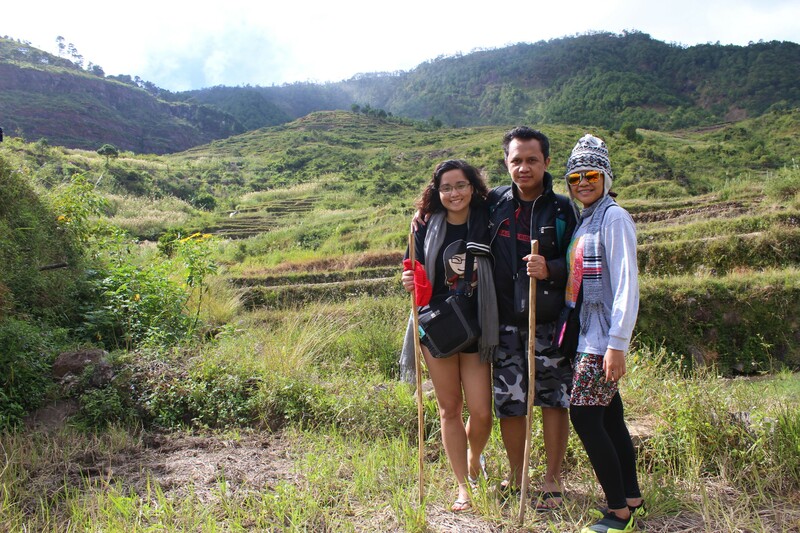 Since then, I vowed to return and explore more of its breathtaking sceneries, and in November last year, I finally had the opportunity to go back there with my travel buddies. We didn’t have any private means of transportation, so the best thing that we could think of is to board an air-conditioned bus from Victory Liner. The fare is P450/person, and the whole ride took about six hours with one quick stopover. 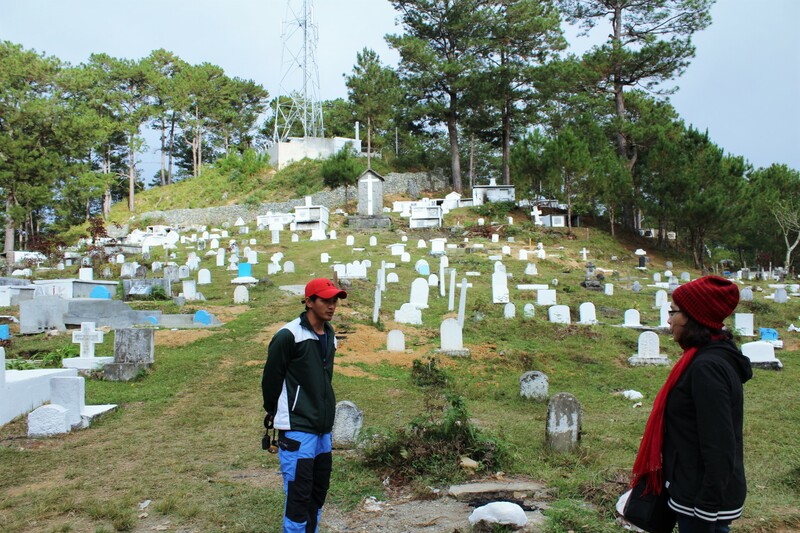 From their Baguio terminal, we hailed a cab to GL/Lizardo Trans, from which we boarded a non-aircon bus to Besao/Sagada. Selling of tickets usually starts at around 6:30am and ends at 1:30pm. The fare is P220/per person, with a long ride of six hours and two stopovers. Twelve hours of bus ride with minimal stops seems like a long and dreadful journey... well, yes, it kinda is. Travelling for more than eight hours is absolutely no joke, but the lush mountain greens and gorgeous sceneries definitely made up for the lengthy road trip. 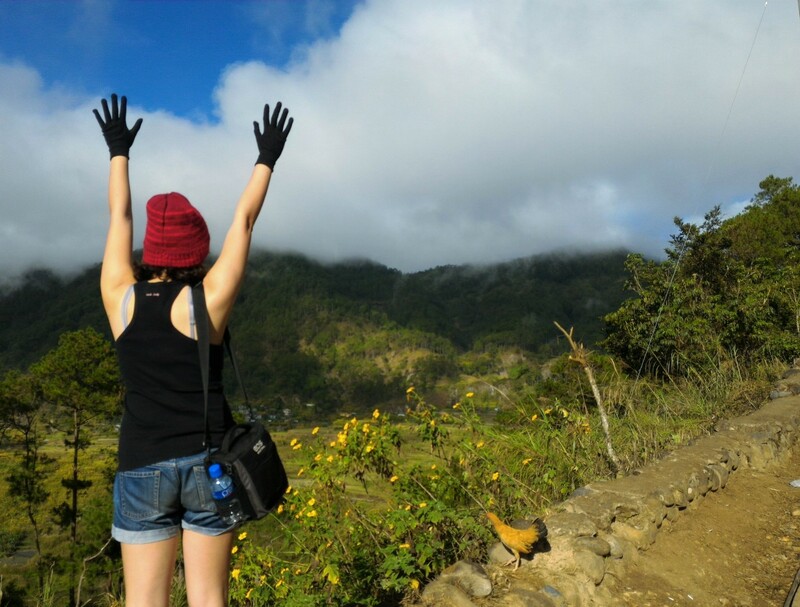 Personally, I made sure that I was awake from the time the bus left Baguio, because I didn’t want to miss some of the country’s jaw-dropping views, such as rice terraces, sea of clouds, glorious mountains, and more. We also stopped by the Philippines’ highest point, Halsema Highway, which has an elevation of 7,400 feet above sea level. 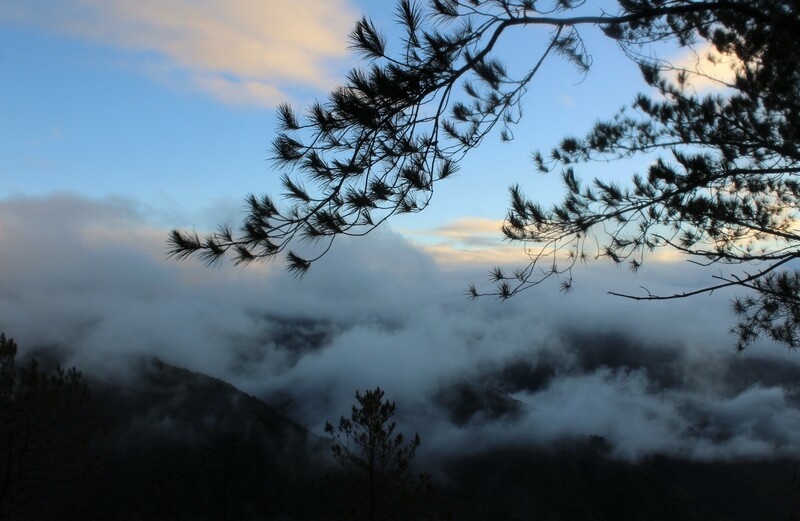 There are lots of great options for accommodation in Sagada--- from little hotels to cozy lodges, to warm hostels and budget-friendly transient houses. 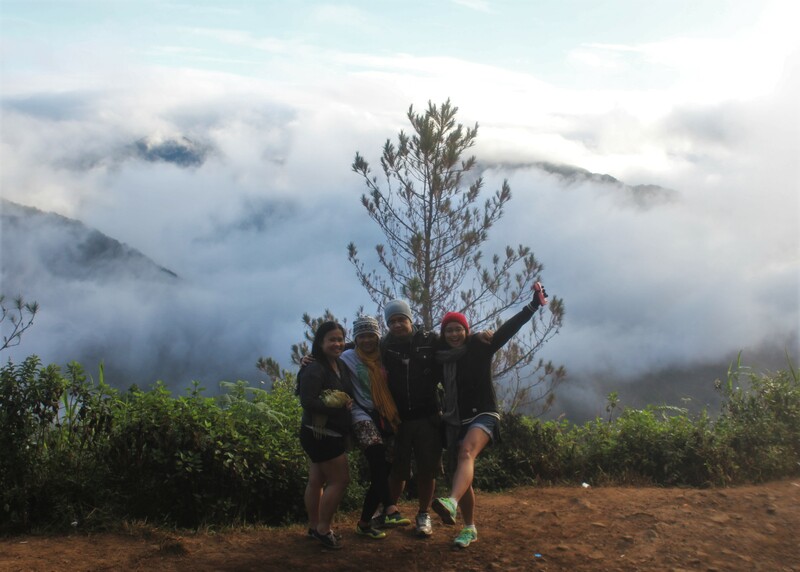 However, we planned our trip during peak season, and almost all guest homes in Sagada were already booked at that time. Fortunately, we were able to secure a room in Kenlopsik Transient House, a comfy dwelling recommended to us by a friend. 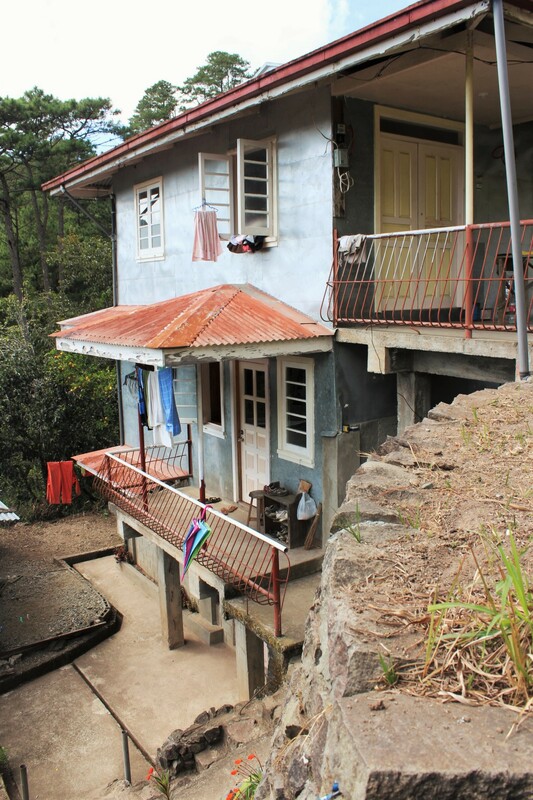 The transient house is owned and managed by a very welcoming family in Sagada. Aside from the warm accommodation, the house itself is amazing--- clean rooms and bathrooms (with hot water 24/7), free coffee and snacks, and a little bonfire outside for people who want to chill and roast marshmallows at night. The rate is P300/person/night, which is very cheap and reasonable, considering their full amenities and commendable hospitality. 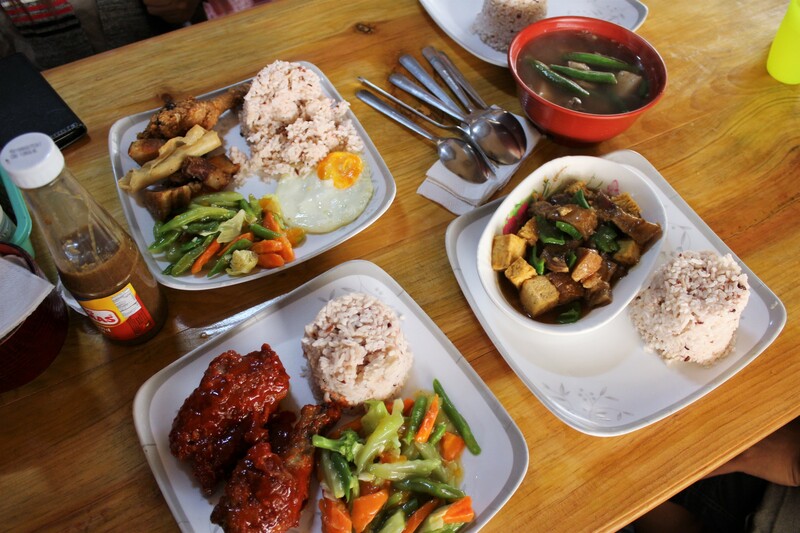 Before going on our first adventure, we decided to have a quick late lunch at Sagada Homestay Diner. 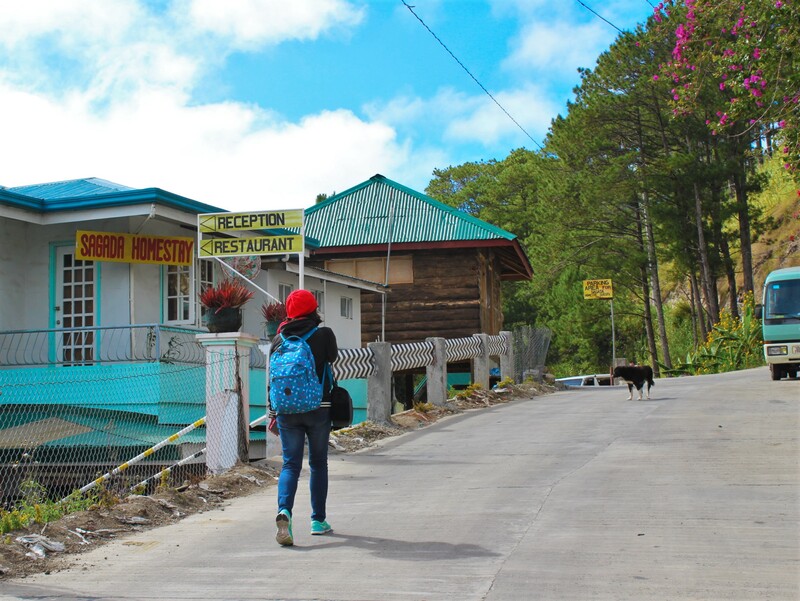 Known as one of the most famous guest houses in Sagada, this place also serves affordable and delicious food. Their butter chicken is a must-try! 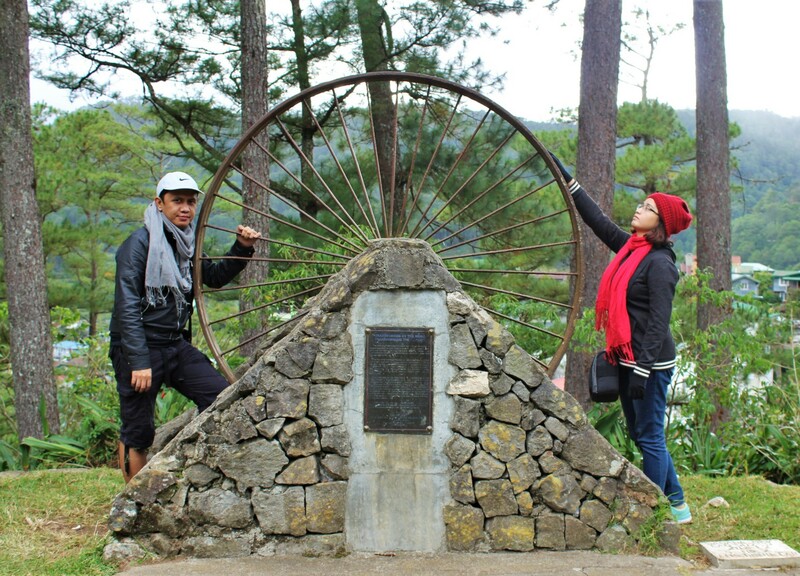 After that, we paid the necessary environmental fee at the municipal hall (which was P35/person and very important, as the receipt serves as an entrance pass to some of Sagada’s attractions) and met up with our tour guide, Kurt, for our first adventure: the Echo Trail. 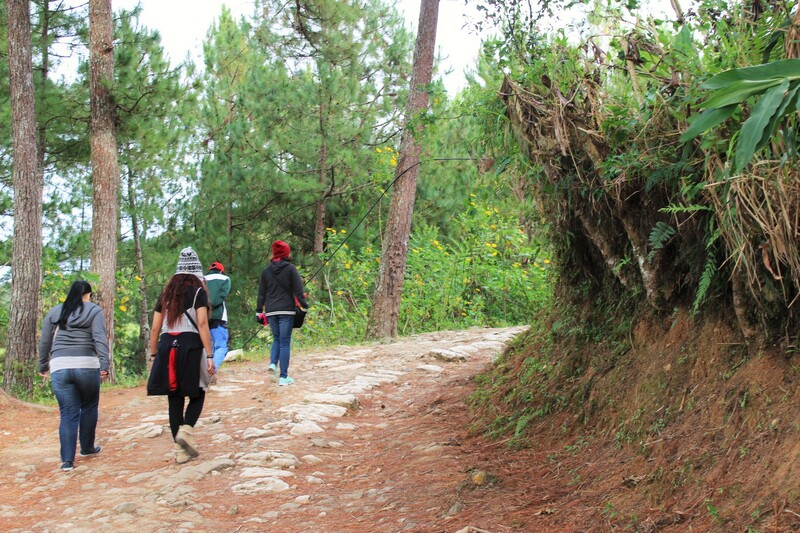 The Echo Trail is one of the most common activities in Sagada. 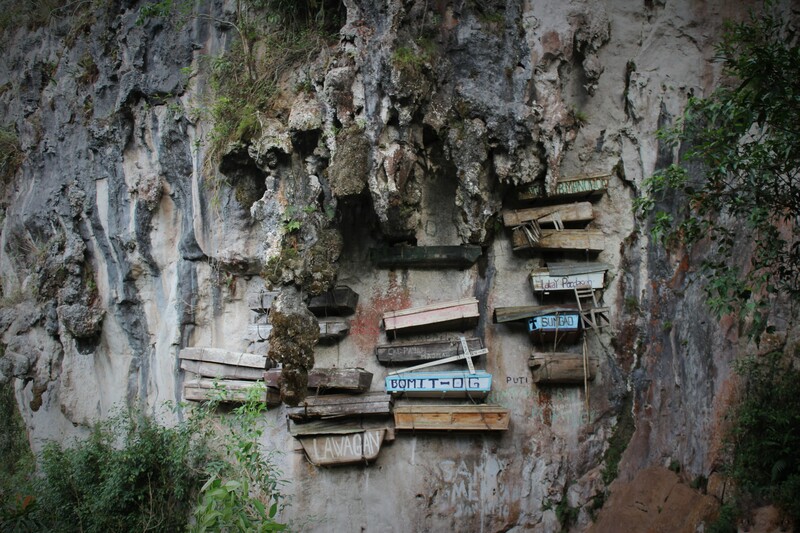 It consists of visiting some of the place’s must-see structures and natural treasures, such as the Centennial Bell, Episcopal Church of St. Mary the Virgin, Anglican cemetery, Hanging Coffins, Echo Valley, underground river, and Bokong Falls (also known as the small falls, which, sadly, we weren’t able to see). 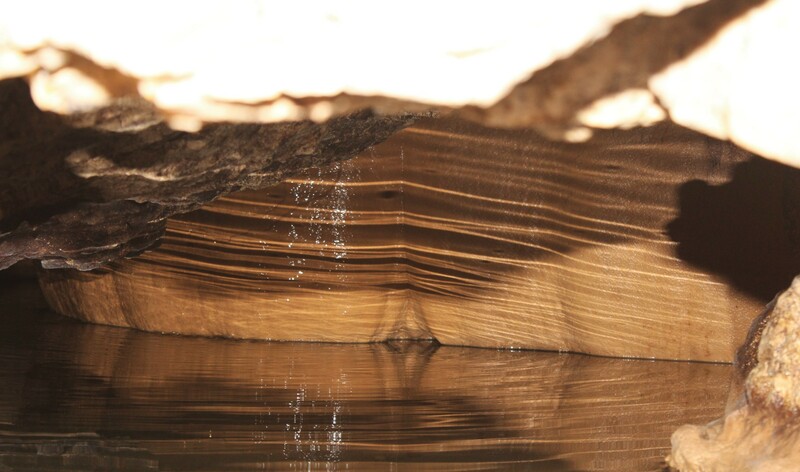 Each of these sights-to-behold have stories of their own, and it’s amazing how one trail can fit all of them! 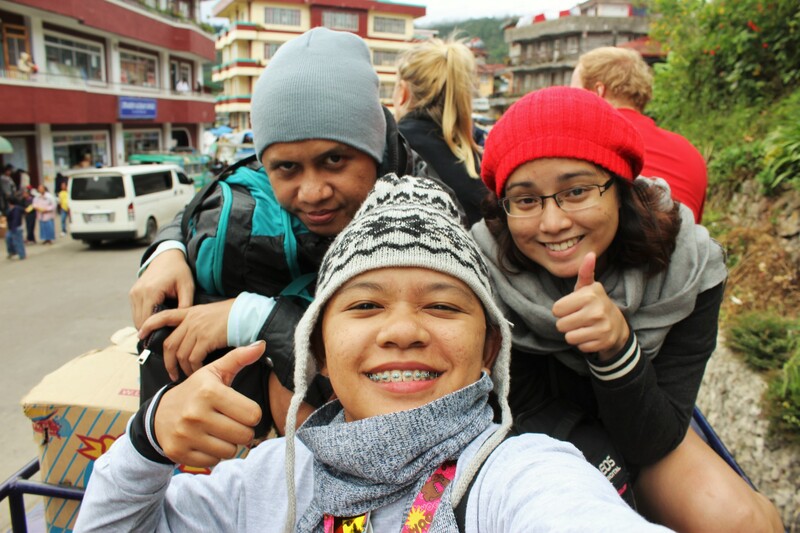 It was truly a thrilling and amazing experience, not only for me, but also for my travel buddies. I’ve been here before, but I’ve felt the whole trail on a whole new level. 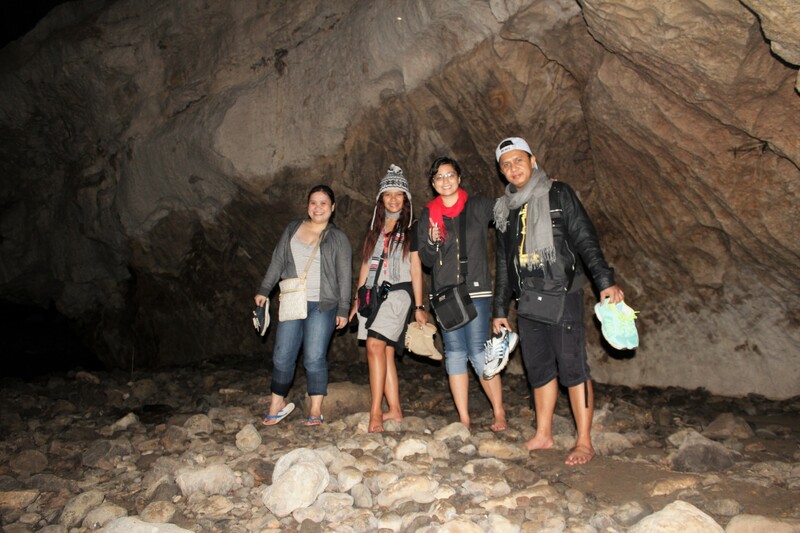 A piece of advice, though: wear slippers instead of rubber shoes; trust me, you’ll need it in the underground river. You wouldn’t want to walk over sharp rocks barefoot (like us), would you? After over three hours of trekking, discovering, and taking pictures, we walked back to the town proper and had dinner at Masferré (if you’re looking for simple, home-cooked meals, then give this resto a try) before heading to our house to rest. Rappler captured the crowd-pleasing festivity from the Hot Air Balloon Festival held in Clark Pampanga last 2013.